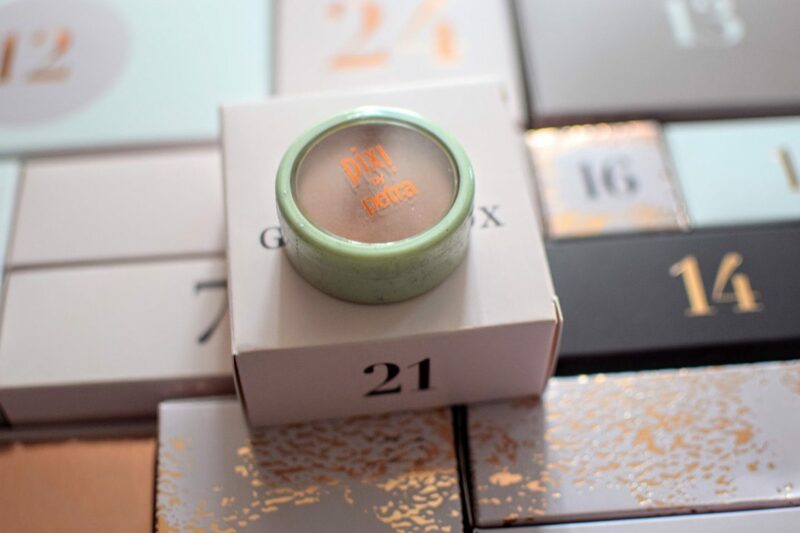 GLOSSYBOX Advent Calendar 2018: What’s Cruelty Free and Vegan? Get your Glossybox ‘All I Want’ Advent Calendar worth over £300 today before it’s too late! Use code LASTCHANCE at checkout and get £24 off! Code valid until Friday 30th November – limited stock available. 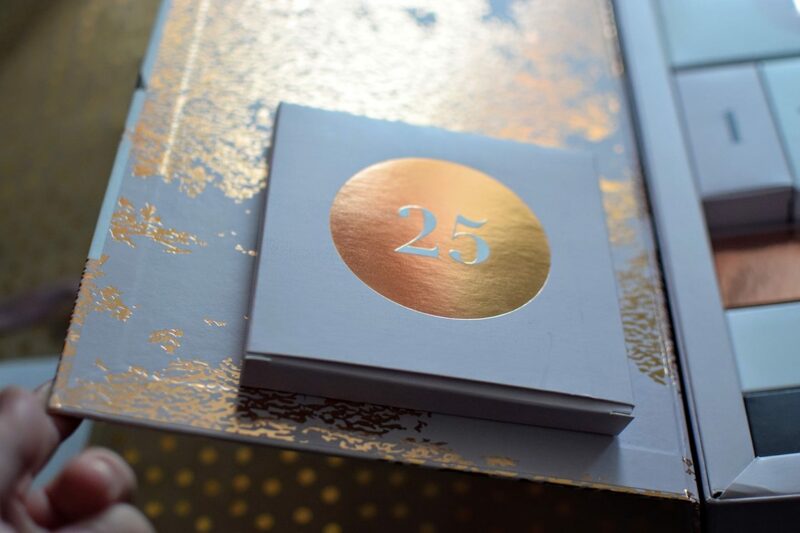 This year’s “All I Want” advent calendar contains 25 products (I love calendars that go all the way to 25! ), 17 of which are full size which is very generous! 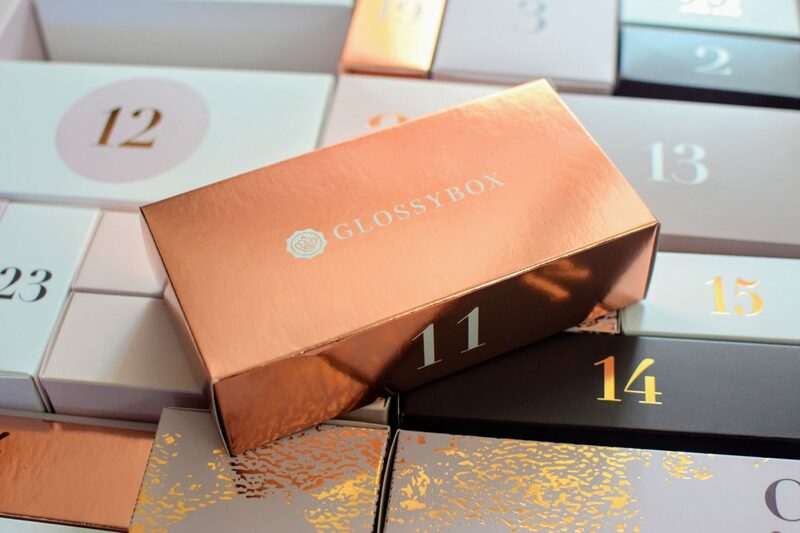 The calendar is worth over £300 but costs £75 for Glossybox Subscribers (don’t worry if you’re not a current subscriber you can still save money and pick the Glossybox Advent Calendar up for £99). 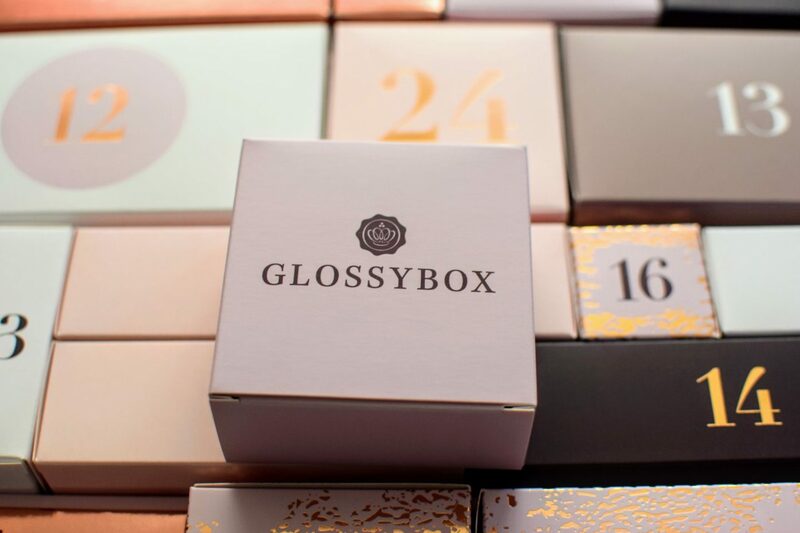 Subscribers can also pre-order their Glossybox Advent Calendar here. 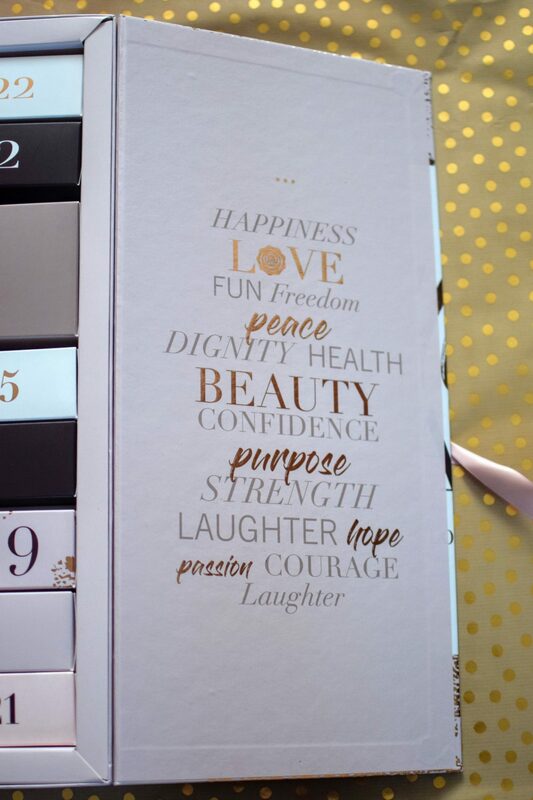 What’s inside the Glossybox “All I Want” Advent Calendar? 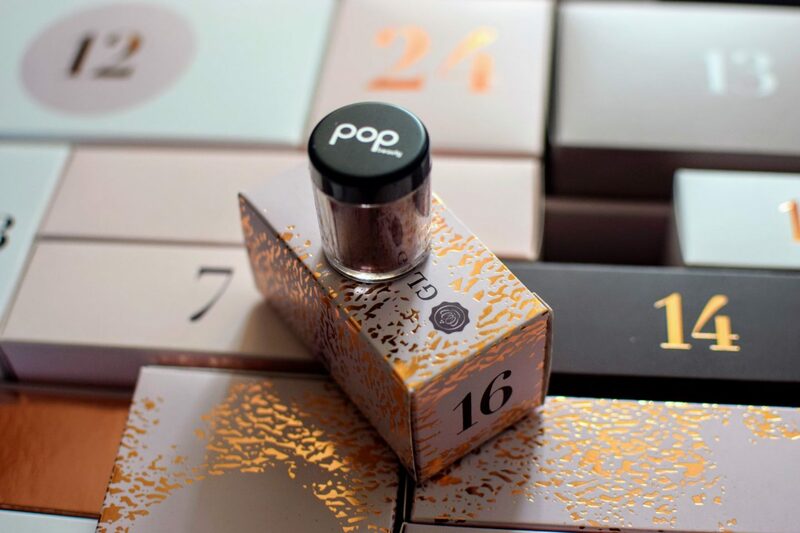 The Glossybox “All I Want” Advent Calendar is a real treat. It’s a good size- you’ll need to clear your living room sideboard or dressing table to house it- and a good weight due to the number of full size products. 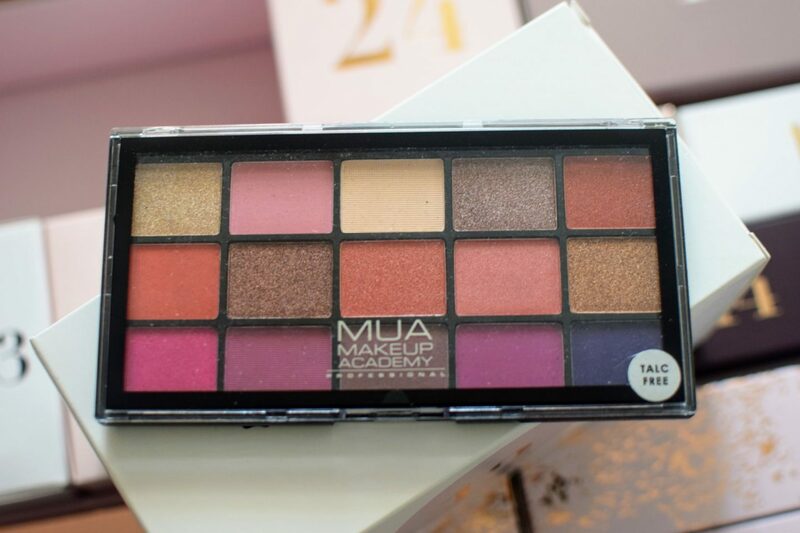 It would definitely make a wonderful pre- Christmas gift for the beauty lover in your life if you’re feeling generous! There are numbered boxes to open on every day of advent. I love this design as it keeps the advent calendar tidy and means you can reuse it again and again. You could refill it with favourite beauty products for a friend or redecorate it and use for a child. The advent calendar has many uses. 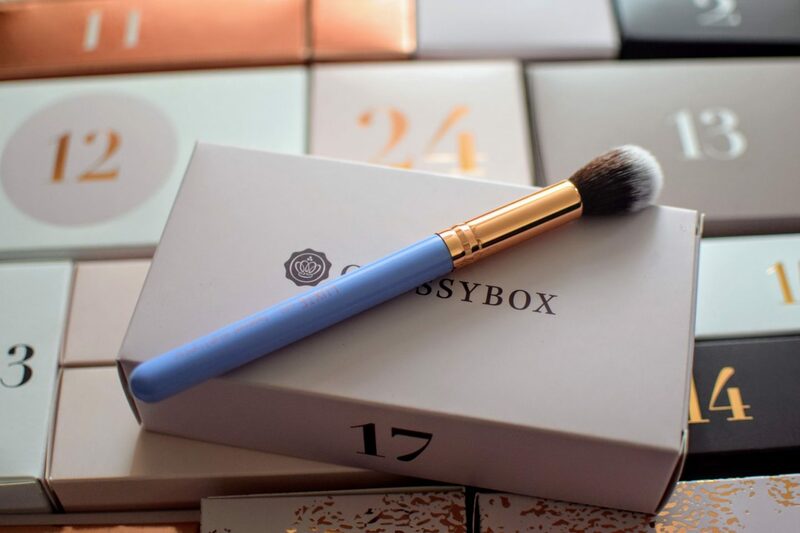 What’s Cruelty Free and Vegan in the GLOSSYBOX Advent Calendar? This is available in two shades- I received this product in “Immoral”- a limited edition fuchsia pink with a cream finish. Sadly NARS lost their cruelty free status in 2017 when they began to sell in China, where animal testing is required by law. 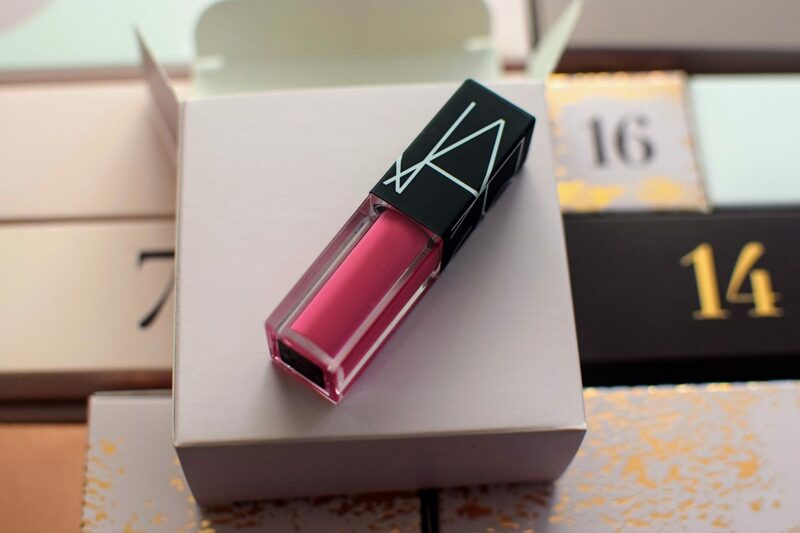 NARA founder, François Nars, is vegan so you would expect this company to be vegan (and cruelty free). While some NARS products are vegan, others contain lanolin so always check the ingredients of each product. 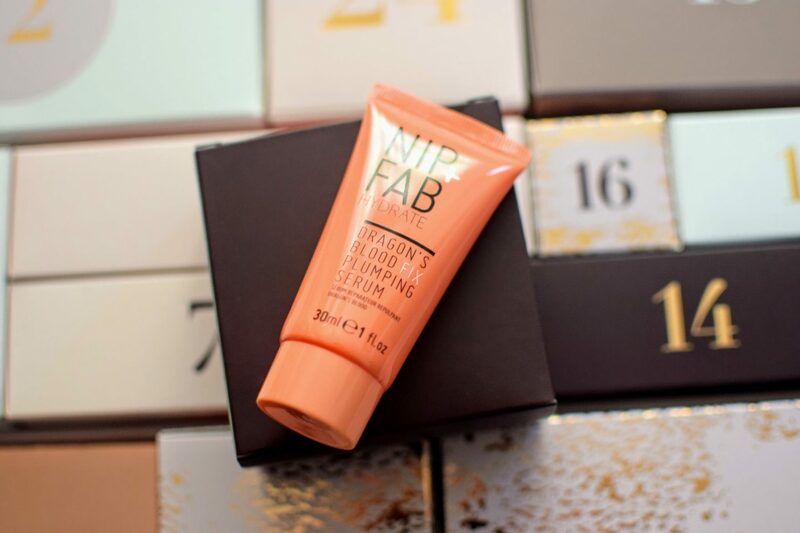 Is NIP & FAB Cruelty Free? Yes! I’m pleased to say that NIP & FAB is proudly cruelty free. They do not test on animals or sell in China. Are NIP & FAB Products Vegan? The good news is that NIP & FAB DO sell vegan products and Dragon’s Blood Fix Pumping Serum is vegan (no dragons were harmed during the making of this product). In fact most of their products are suitable for vegans and they list their non vegan products to avoid (see above). 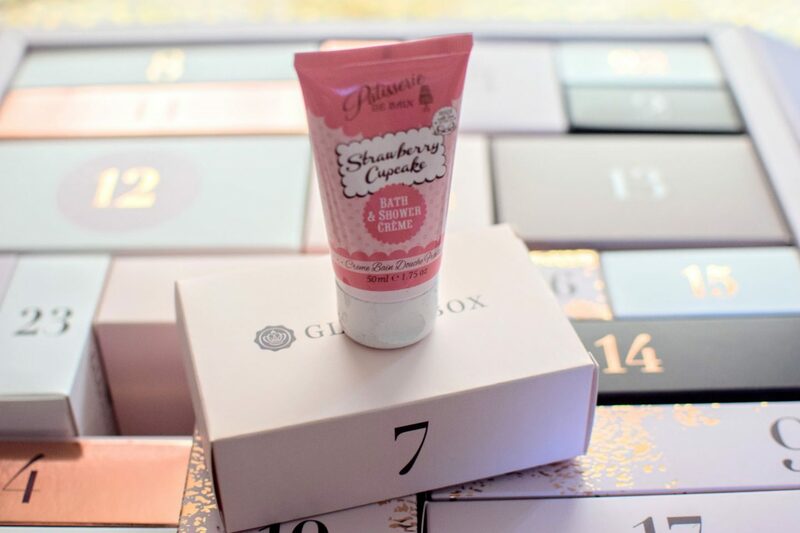 I was hoping that the Glossybox advent calendar would contain a Christmas scented candle and my wish came true! Are Yankee Candles Cruelty Free? Yankee Candles do not test any ingredients or products on animals. Are Yankee Candles Suitable for Vegans? Yankee Candles are made from food grade paraffin wax and soy wax and don’t use any animal by products in their products. Oh my hair needs Phillip Kingsley Body Building Conditioner this winter! 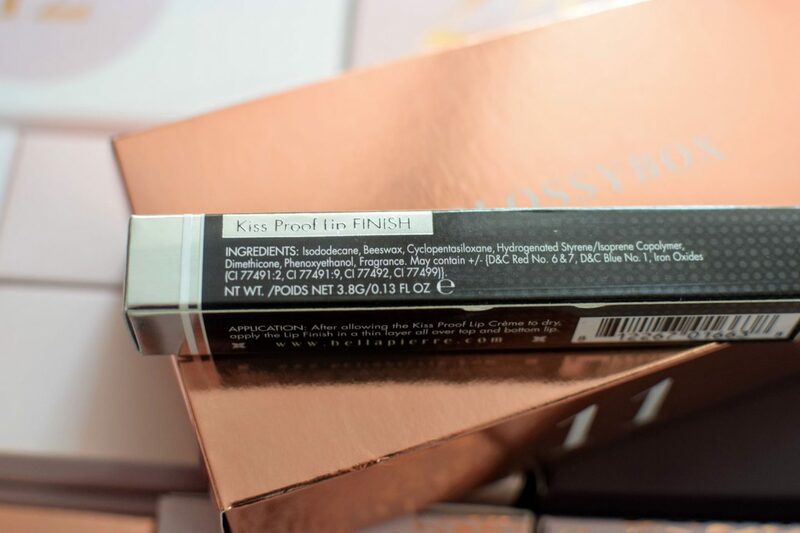 Is Phillip Kingsley Cruelty Free? Phillip Kingsley state that they don’t test their products on animals and they only sell their products in spas in Hong Kong where the animal testing law is different to the rest of China. Are Philip Kingsley Products Suitable for Vegans? Philip Kingsley Body Building Conditioner is suitable for vegans but they do use some animal deprived products so always check the ingredients or contact Philip Kingsley before buying. Are MDM Flow Cruelty Free? Yes. MDM Flow are a cruelty free British brand. Some are but others contain animal by-products. MDM Flow Greater Than … Mascara contains Beeswax. 3INA describe themselves as cruelty free and do not test their products on animals. Are 3INA Products Suitable for Vegans? I have seen 3INA describe themselves as a vegan brand. 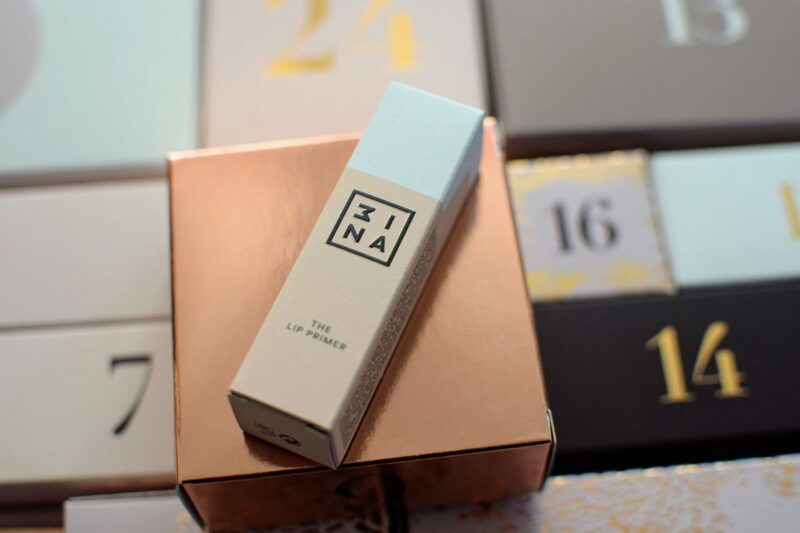 In their FAQ, they state ” Much of the 3INA range is free of any animal products and in the near future we plan to make it much clearer which products fulfil this criteria. Check out our labels when browsing in-store or the product description if you browse online, as these usually stipulate when a product is vegan. 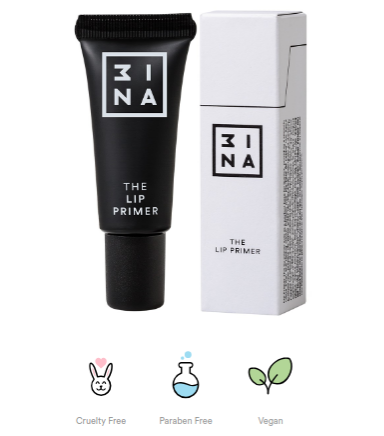 Bear with us – we’re working on it!” I’m pleased to say that 3INA The Lip Primer was clearly marked as both cruelty free and vegan. Are Patisserie de Bain Cruelty Free? Are Patisserie de Bain Products Suitable for Vegans? Some Patisserie de Bain products are suitable for vegans. “The thought of animal cruelty quite frankly makes us shudder so we go the extra mile to make sure that our products and raw ingredients and are suitable for vegetarians and vegans*” However their balms contain beeswax. The Strawberry Cupcake Body Wash is suitable for vegans. Are Real Techniques Cruelty Free? Yes, Real Techniques are 100% Cruelty Free. Are Real Techniques Brushes Suitable for Vegans? Yes, the bristles are synthetic taklon and completely vegan. Is Charles Worthington Cruelty Free? “We can clarify that the Charles Worthington brand is against animal testing: none of our products have been tested on animals nor do we ask any of our suppliers to test them on animals on our behalf. As many ingredients and raw materials have been tested historically, we apply a cut-off date of 1998 after which we only use ingredients from suppliers who have not tested them on animals for cosmetic purposes since this date. Are Charles Worthington Products Suitable for Vegans? Many people “hashtag” Charles Worthington products as vegan. I haven’t seen proof of this myself yet and am awaiting confirmation. Please email the brand before purchasing products. Are Bare Minerals Cruelty Free? Bare Minerals do not test on animals or sell to China. They are PETA approced cruelty free. However their parent company, Shiseido does test on animals. Are Bare Minerals Products Suitable for Vegans? Not all Bare Minerals products are suitable for vegans. Some brushes are made from goat and pony bristles and products may contain carmine (check ingredients or contact Bare Minerals before purchasing). . Bare Minerals Skinglongevity Vital Power Infusion is a vegan beauty product. 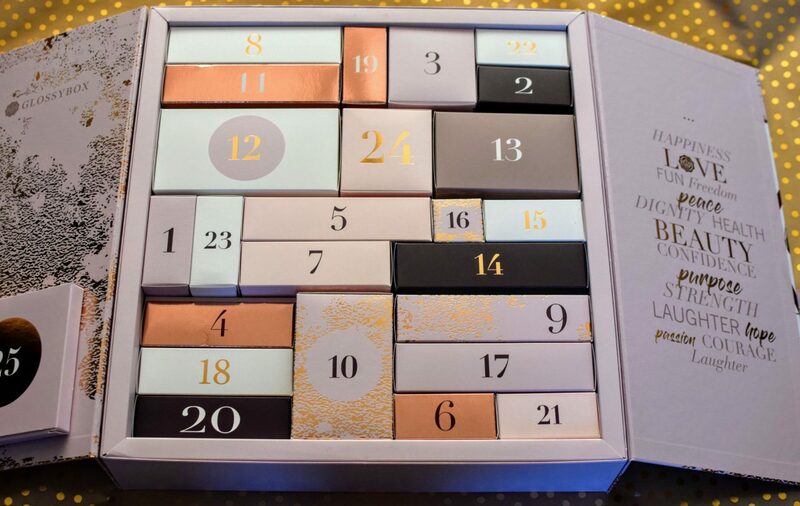 Day 11- look how lovely the gold boxes are- such a joy to open! 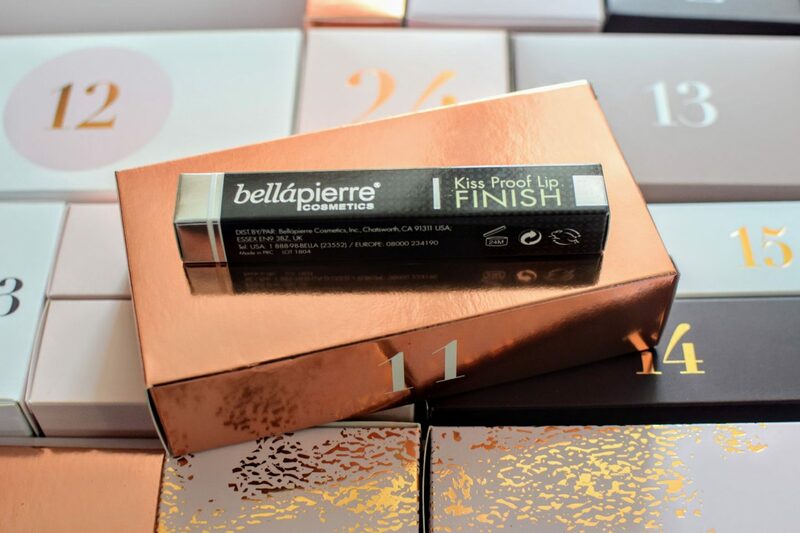 I was even more delighted when I opened the box and found Bellapierre Cosmetics: Kiss Proof lip Finish admonished with a leaping bunny mark (we need to see more of these). Yes Bellapierre is a cruelty free company. Are Bellapierre products suitable for vegans? No, sadly not all Bellapierre products are suitable for vegans. 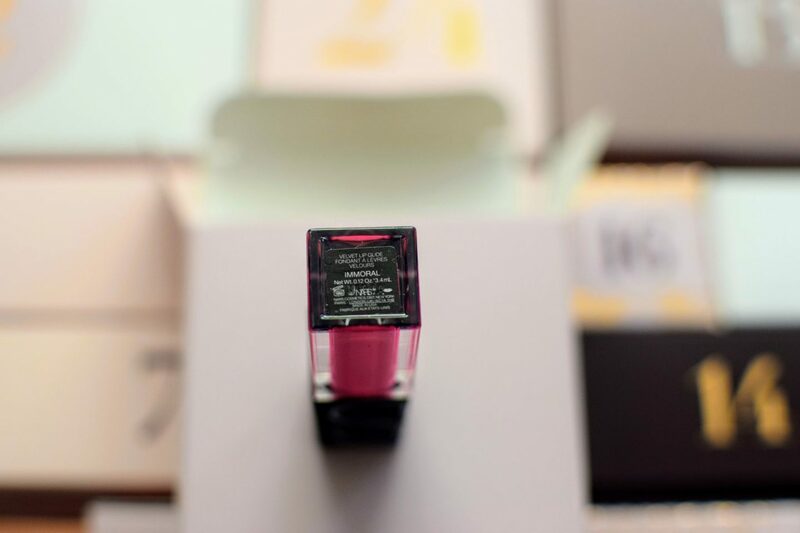 As you can see from the picture above the Lip Finish Gloss contains Beeswax. However Bellapierre do have an expanding vegan range. What they say: “Take your inner vixen to the next level with our latest edition – Cosmic Vixen. Taking inspiration from its much loved sister, Fire Vixen, turn up the impact with these latest shades. Yes, MUA is cruelty free and do not test their products on animals. Are MUA Products Suitable for Vegans? MUA products are not all suitable for vegans as some of their ingredients may have been derived from an animal source. However MUA are increasing their vegan range and now have a vegan makeup section on their site. Sadly their Cosmic Vixen Palette is not included in this list as it contains carmine (CI 75470). 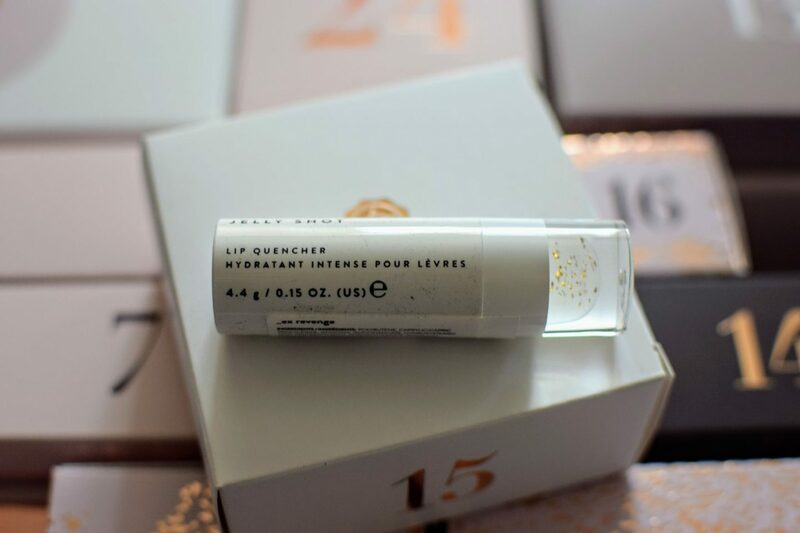 One great advantage of subscription beauty boxes and advent calendars is the chance to try something new that you might not have picked up for yourself. 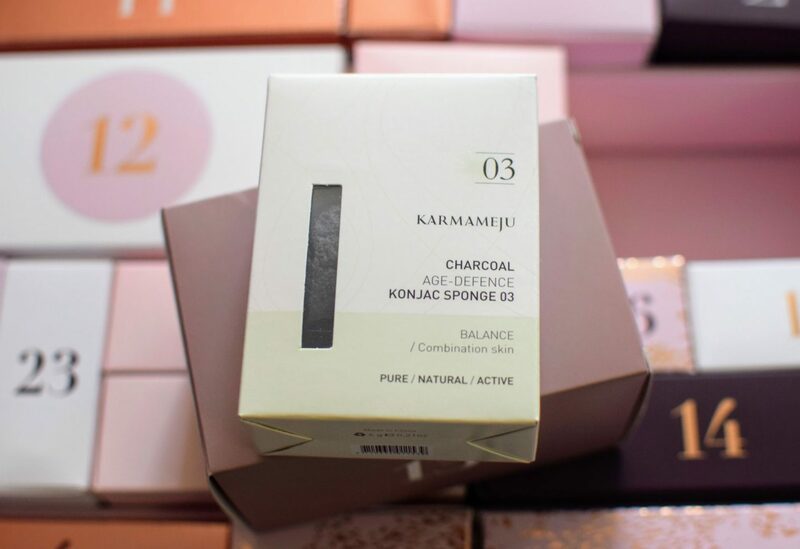 I’m so excited to try using the Karmameju Charcoal Konjac Sponge in place of my usual face cloth. Karmameju do not test on animals. I could not find any information about whether they sell in China. Are Karmameju Products Suitable for Vegans? 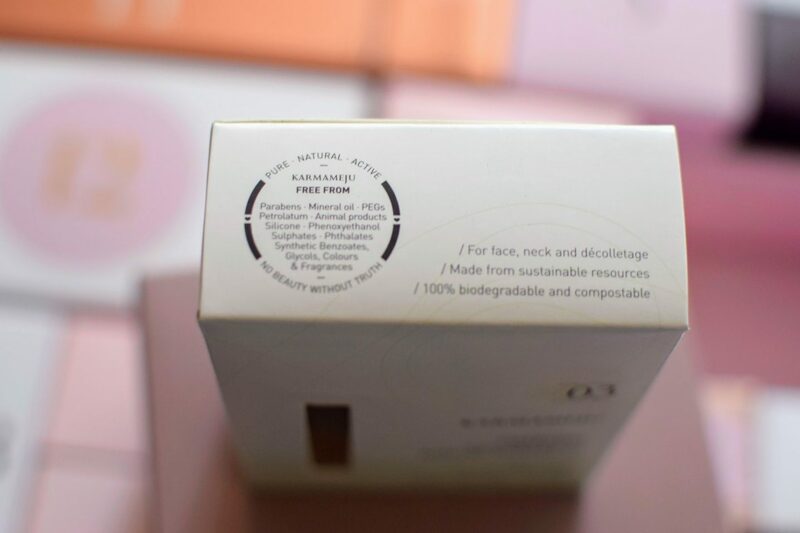 All Karmameju products are free from animal products. Elgon products are not tested on animals. Are Elgon Products Suitable for Vegans? Not all Elgon products are suitable for vegans. However Elgon have launched a Green” range called Imagea which is suitable for vegans. I can’t wait to try this in the future. These are so cute. Mine came in shade “Ex Revenge”. Just like their older sister, Nails Inc. INC.redible are completely cruelty free and PETA approved. Are INC.redible Products Suitable for Vegans? All of INC.redible products are suitable for vegans apart from the “Foiling Around” range which contained beeswax. In June they launched “My Mood” and all the products are vegan, cruelty free and ocean-friendly. Are Pop Beauty Cruelty Free? Pop Beauty are cruelty free and do not sell in China. Are Pop Beauty Products Suitable For Vegans? I have heard rumours that they are but I’m awaiting confirmation! 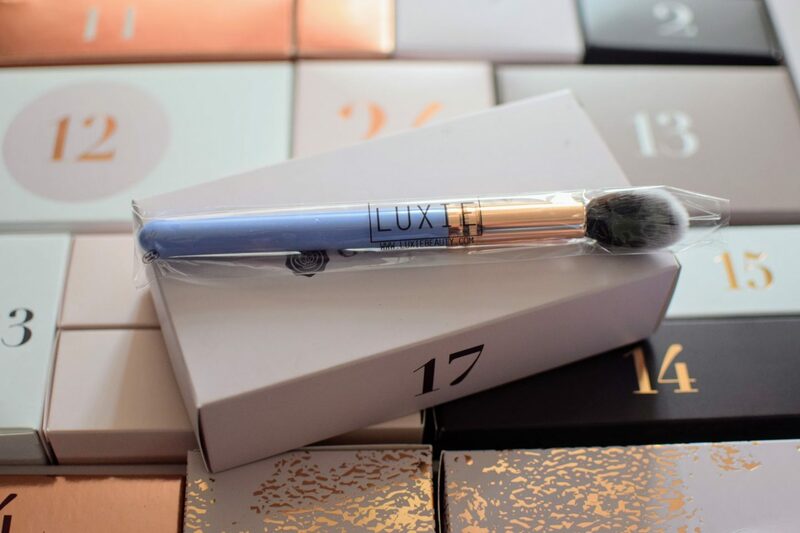 As stated above- Luxie is cruelty free! Are Luxie Products Suitable for Vegans? Yes the bristles are synthetic so Luxie is suitable for vegans! Are Lollipops Cosmetics Cruelty Free? Lollipops Cosmetics are Cruelty Free and not tested on animals. Are Lollipops Cosmetics Suitable for Vegans? I couldn’t find any information about whether Lollipops Cosmetics are vegan. However they also sell a range of leather goods so are not a vegan friendly company. Is Crabtree & Evelyn Cruelty Free? They say: “Crabtree & Evelyn is opposed to animal testing. We don’t test our finished products on animals or conduct animal testing during the formulation process. We don’t submit our products for animal testing by third parties anywhere in the world except where required by local law.” Crabtree & Evelyn products are sold in China and therefore tested on animals and sadly not cruelty free. 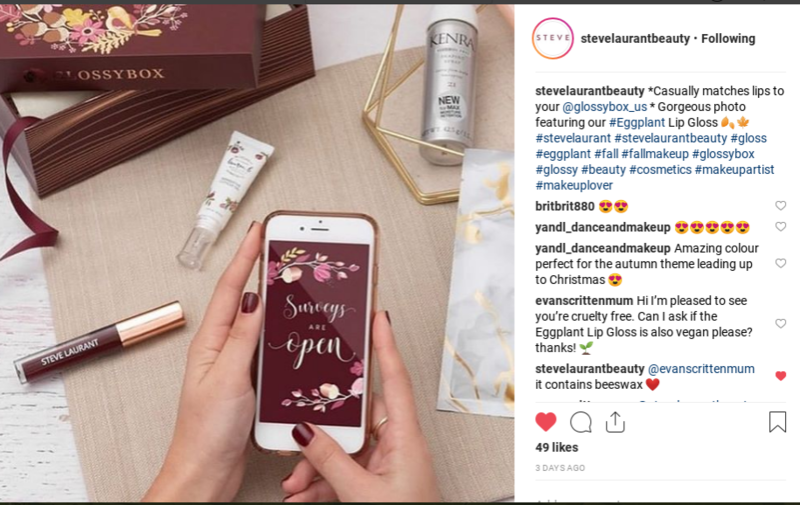 Are Crabtree & Evelyn Products Suitable for Vegans? Not all products are suitable for vegans. However the Rosewater and Pink Peppercorn Hand Therapy is listed as suitable for vegans. 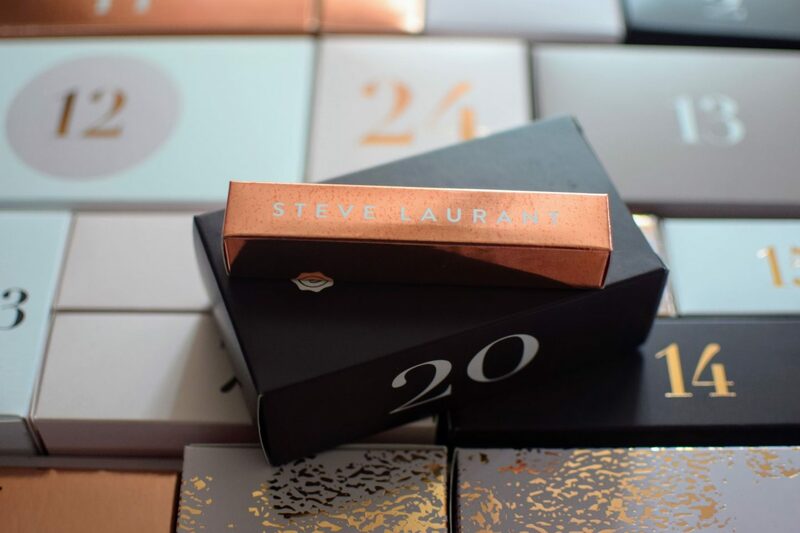 Are Steve Laurant cosmetics Cruelty Free? 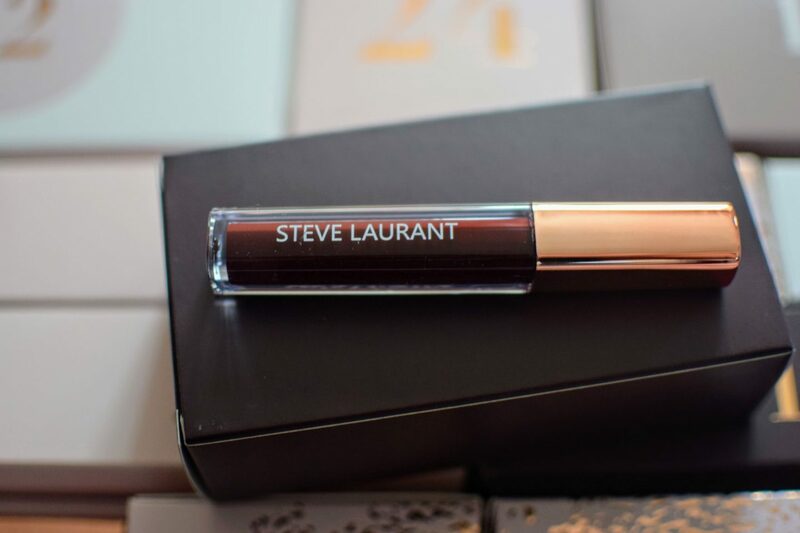 Are Steve Laurant cosmetics Suitable for Vegans? I can’t find any confirmation that all products are suitable for vegans. I have also tweeted @SteveLaurantBeauty to check if the lip gloss is vegan (it’s heard to know with colours) but I’m awaiting my reply. Until then the ingredients are listed above. (Update: They have replied and stated that it is not vegan due to containing Beeswax!). This light-diffusing powder blush is made with vitamin E to keep your skin soft, smooth, and hydrated. It’s blendable and buildable—one swipe gave us a subtle flush for day, a few more and we were ready to beach party at night. Beach rose is a soft, rosy shade that instantly warms up your complexion. 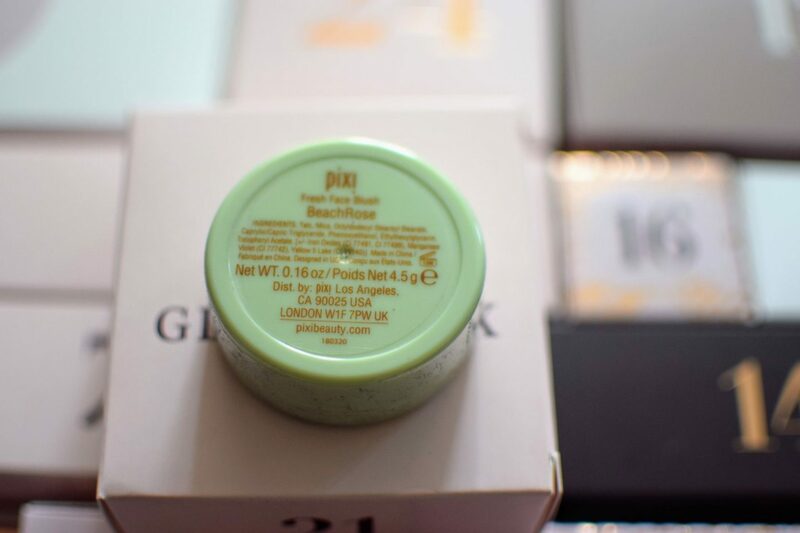 Are Pixi by Petra Cruelty Free? Are Pixi by Petra products suitable for vegans? Pixi by Petra are not a vegan brand but they do sell a lot of vegan products and are happy to inform customers. Their blusher is suitable for vegans. What they say: “An unparalleled anti-aging mask developed by Dr. Marko Lens for his tailor-made “Red Carpet” facials. Encourages skin renewal with immediately visible results. Powered with a potent complex of high-performance ingredients, this advanced multi-action mask hydrates, energises, replenishes and revives the skin. Are Zelen Products Cruelty Free? Zelens uses no animal testing. Are Zelen Products Suitable for Vegans? Zelens use no animal ingredients. Are Eyeko Products Cruelty Free? Eyeko say that they do not test on animals, not even their raw ingredients. Nor do they support any companies who test on animals. They do not sell in China and their suppliers do not test. Are Eyeko Products Suitable for Vegans? Eyeko state that their products are vegan friendly. 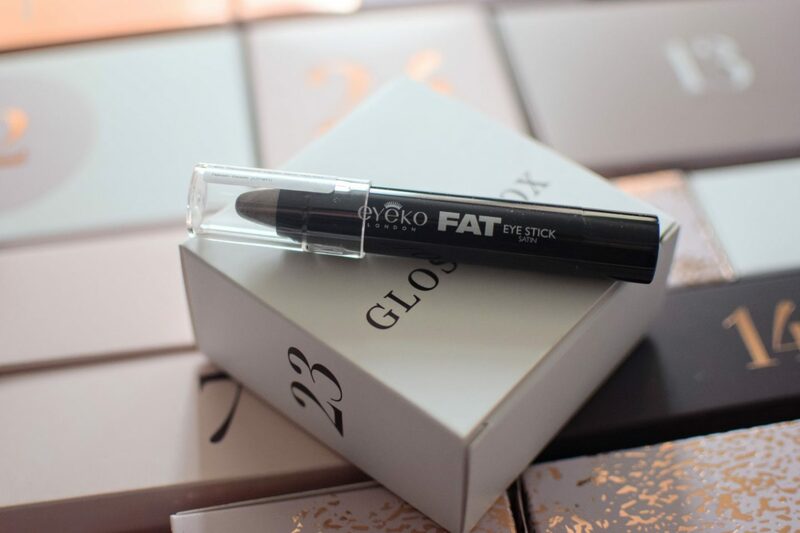 However not all Eyeko products are suitable for vegans. The Fat Eye Stick contains Beeswax so is not vegan. 24. Mitchell & Peach Flora No 1 Fine Radiance Oil (20ml, £30). 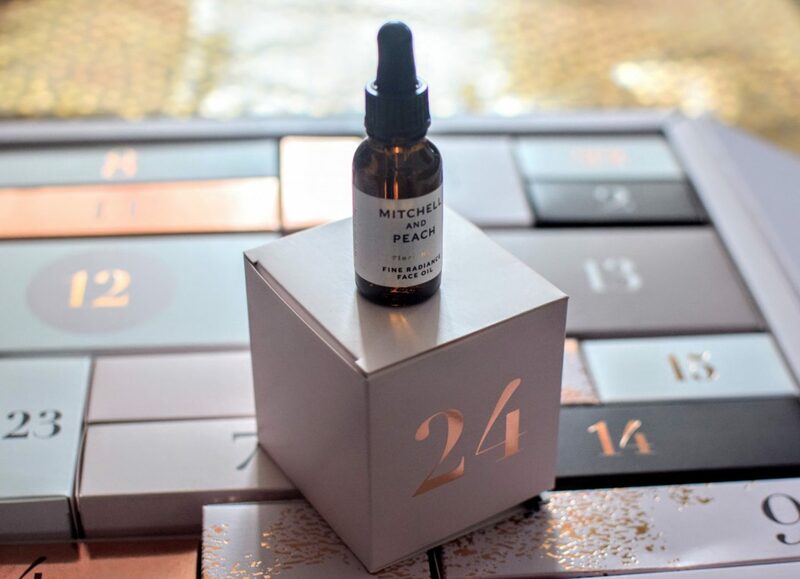 Are Mitchell & Peach Cruelty Free? Are Mitchell & Peach Vegan? hives”. Flora No 1 Fine Radiance Oil is suitable for vegans. 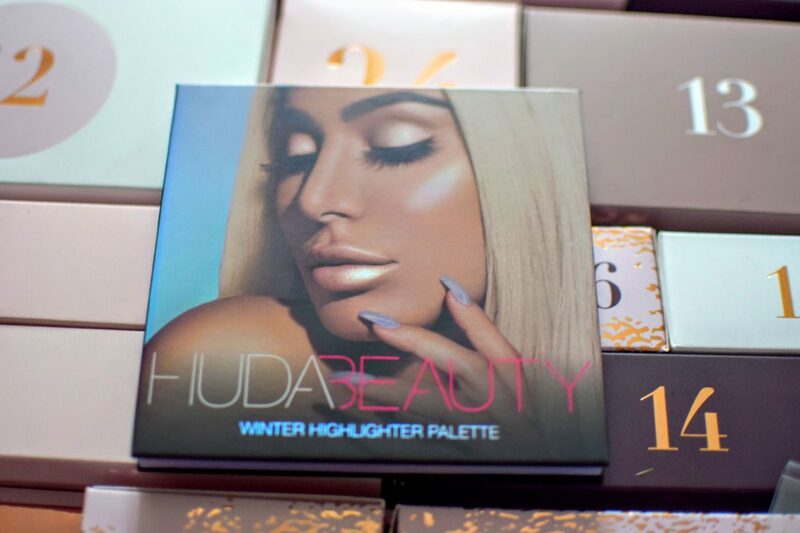 Are Huda Beauty Cruelty Free? Yes! They do not they do not test their ingredients or products on animals; they do not ask or hire any third parties to test their products or ingredients on their behalf; their ingredient suppliers do not test on animals and have manufacturers certifications to confirm this; and they do not sell in Mainland China. Therefore they are considered cruelty free. Are Huda Beauty Products Suitable for Vegans? Huda Beauty are not a vegan brand. They do sell a small number of products and brushes suitable for vegans. 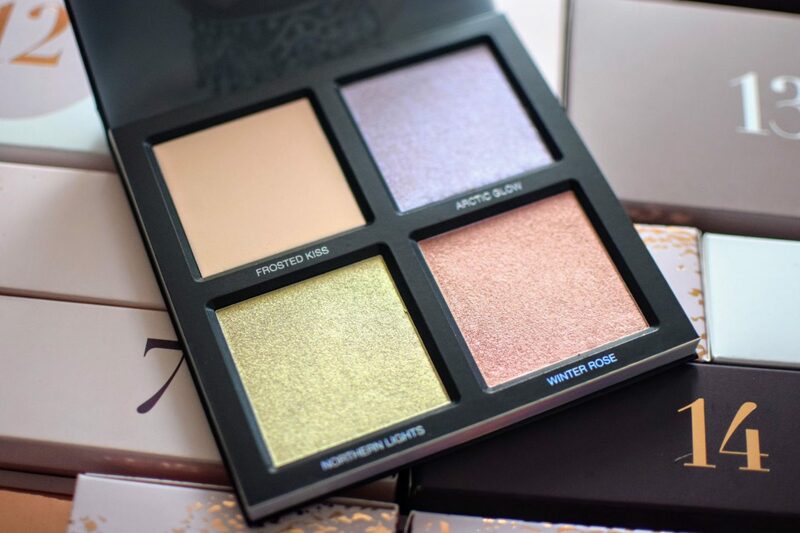 The Winter Palette is not suitable for vegans and contains beeswax. 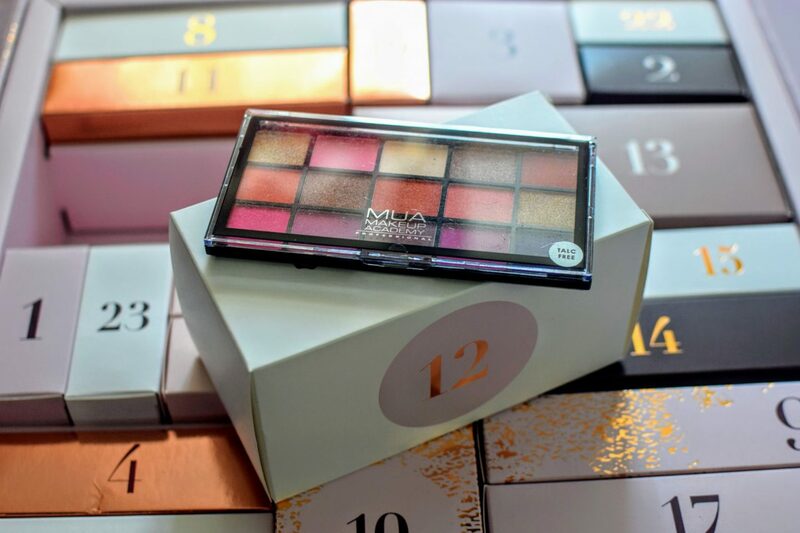 I hope this post has been useful if you were wondering if the Glossy Box “All I Want For Christmas” Advent Calendar is cruelty free and vegan, or perhaps you just wanted to find out the status of certain brands and products. The GLOSSYBOX “All I Want for Christmas” is absolutely gorgeous and no doubt of value when you add up all the products inside it. Personally I wish there were more (meaning all!) cruelty free and vegan beauty products. My favourite cruelty free and vegan products in the advent calendar are the Yankee Candle, Zelens Instant Renewal Mask, NIP & FAB Dragon’s Blood Fix Plumping Serum and the Strawberry Cupcake Body Wash. 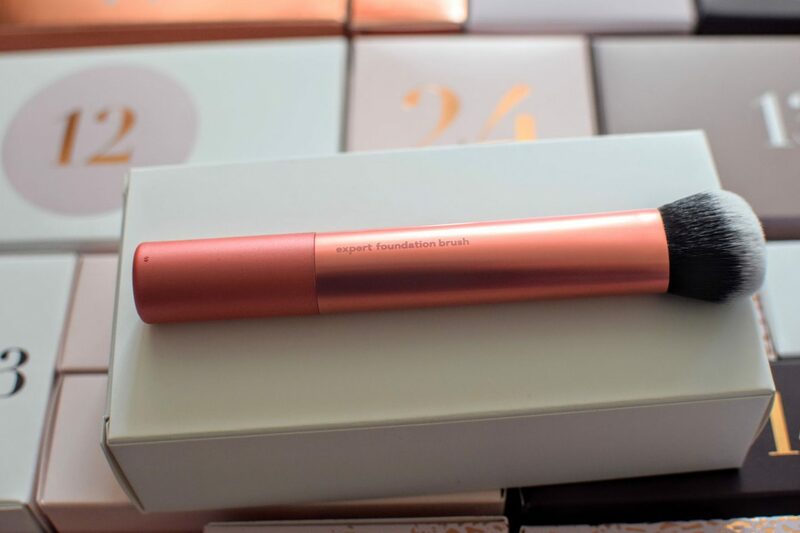 I absolutely love the Real Techniques Expert Foundation Brush- this would make a great Christmas present for friends! I’m pleased to have been introduced to the Karmameju, Imagea and Inc.Redible as a result of receiving this GLOSSYBOX. 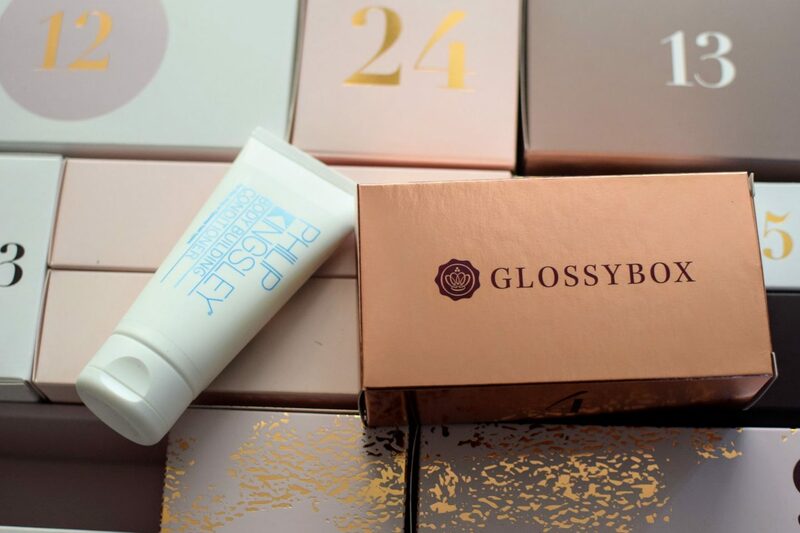 You can order the GLOSSYBOX All I Want for Christmas Advent Calendar for £99 or £75 for Subscribers. GLOSSYBOX November and December boxes have sold out but you can pre-order the January Box by subscribing. From time to time GLOSSYBOX release a completely cruelty free and vegan Beauty box so look out for these next year (the only ones I buy). 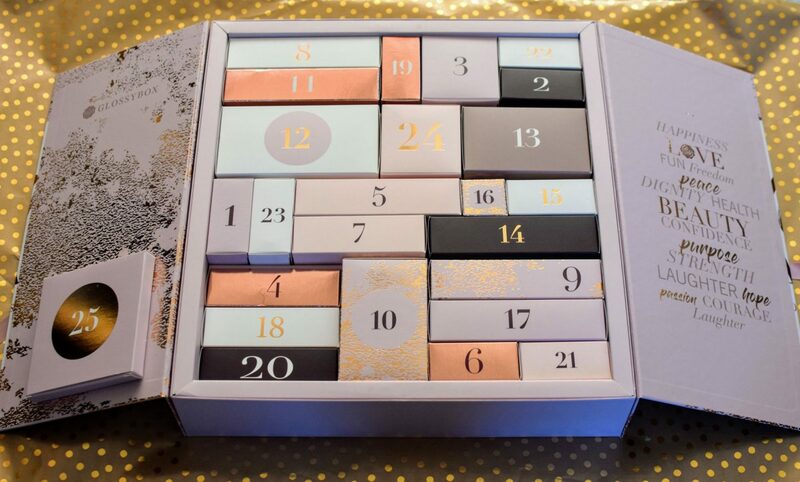 What products would you like to try from the GLOSSYBOX Advent Calendar? I was sent this advent calendar for the purposes of review. This post contains affiliate links. 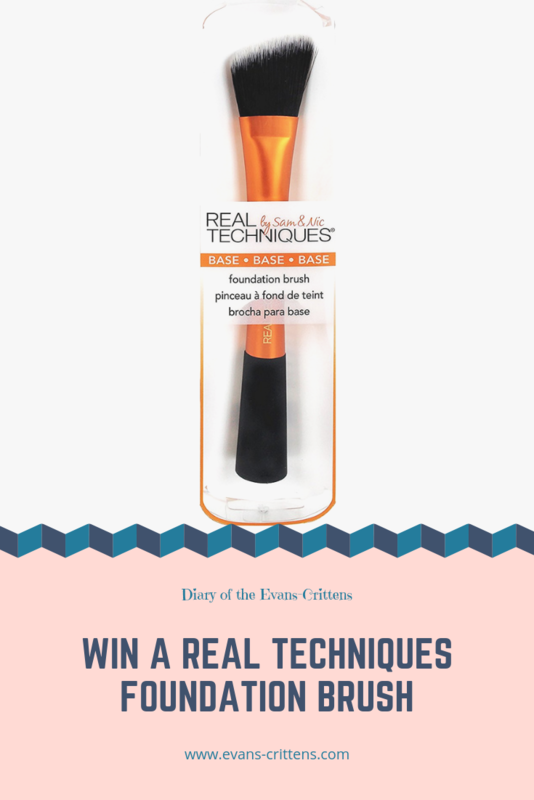 I love the Real Techniques foundation brush so much that I am going to give one away to my readers. Enter the Rafflecopter below. Remember to read the terms and conditions- good luck! 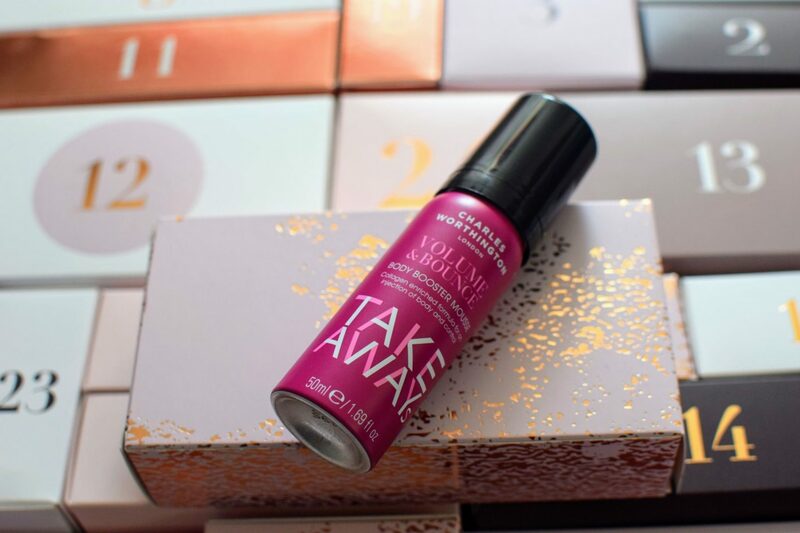 The Bare Minerals Skinlongevity Vital Power Infusion. The Real Techniques Expert Foundation Brush. 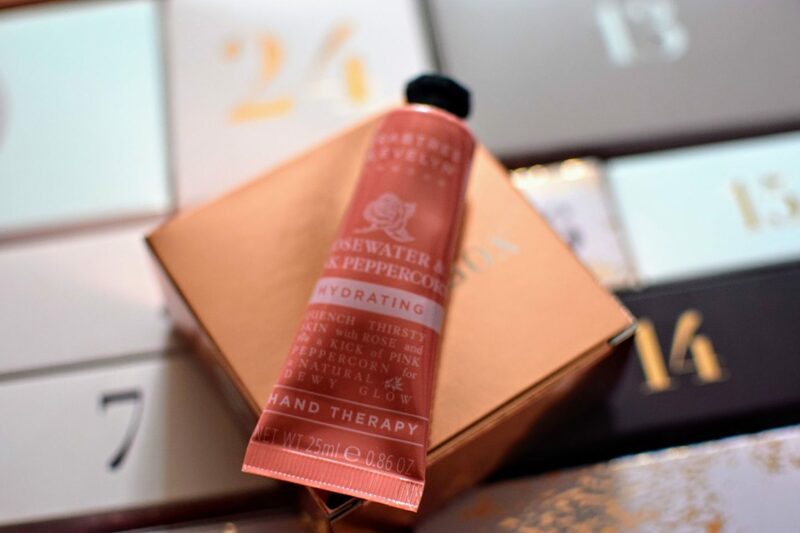 Crabtree & Evelyn Rosewater & Pink Peppercorn Hand Therapy, especially at this time of year when my hands feel so dry!! I am a big fan of an affordable serum so I love the look of the NIP & FAB Dragon’s Blood Fix Plumping Serum, 30ml (£11.97). I think my favourite is the Luxie brush but tbh it’s kinda hard to choose this year! 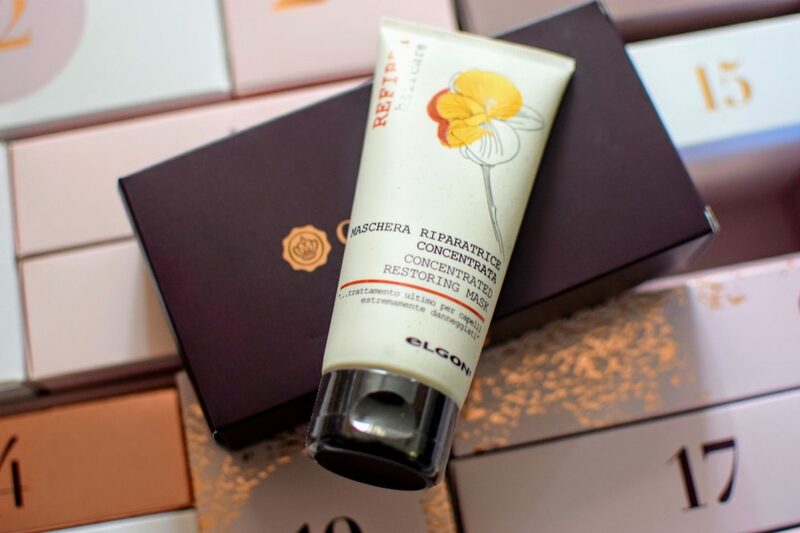 The strawberry cupcake body wash.
My favourite product in the Glossybox Advent Calendar is the Elgon Refibra Concentrated Restoring Mask. The Elgon: Refibra Concentrated Restoring Mask. 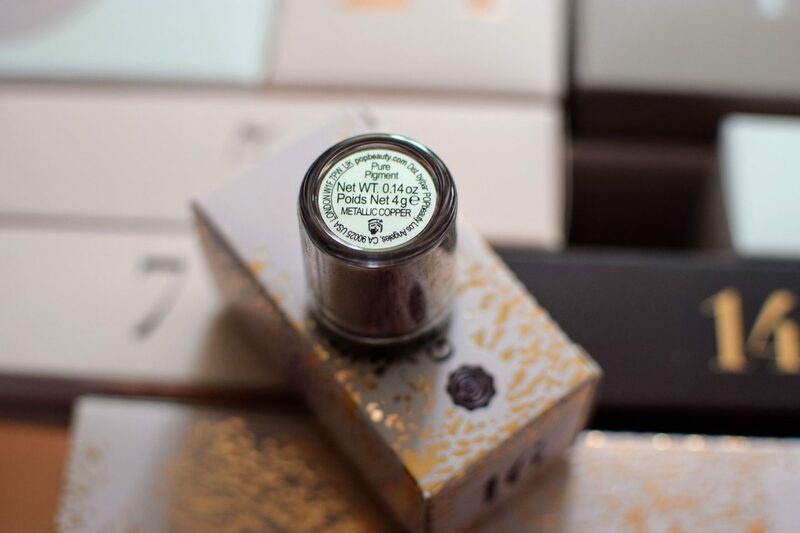 the eye stick as i love my eyeshadow and eyeliner! Hard to choose one item but probably theElgon Refibra Concentrated Restoring Mask. Thank you for this article, researching from the ingredients and animal testing policy of each manufacturer and item must have been so time consuming. 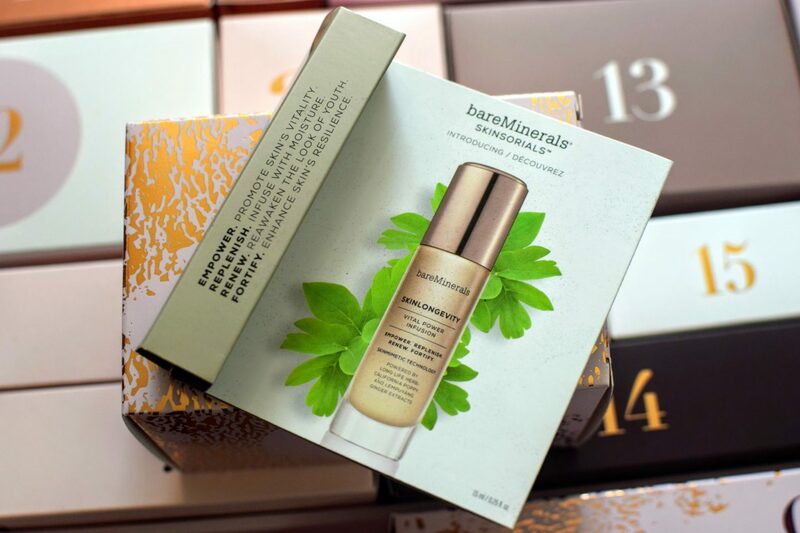 I love Bare Minerals Skin longevity Vital Power Infusion, it’s a fantastic product. The Charles Worthington Volume & Bounce Body Booster Mousse sounds amazing! 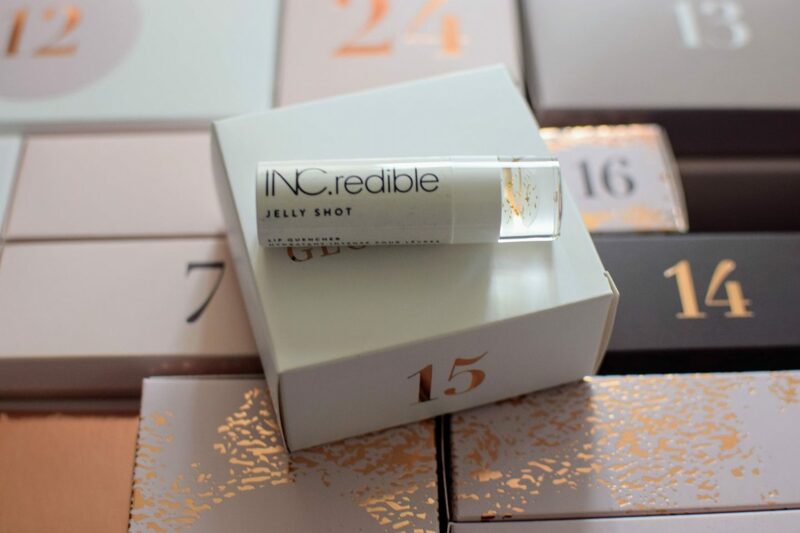 The INC.redible Jelly Shot Lip Quencher. The Huda palette is my favourite item.